What's this scratching out my brain! 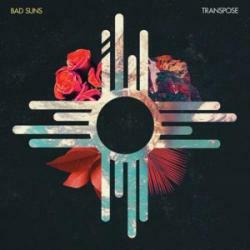 TRANSPOSE (NICITA REMIX) es una canción de Bad Suns del año 2014. La letra ha sido escrita por CHRISTOPHER MICHAEL BOWMAN, GAVIN AUSTIN BENNETT, MILES SCOTT ATKINS KOTTAK, RAYMOND TORREY LIBBY; publicada por Universal Music Publishing Group.